As a PR Consultant, I get to travel a lot accompanying clients, organizing press conferences and covering events. Last week, we went to Tagum City, which is about an hour away from Davao City. It was my client who arranged everything for this trip including my flight and hotel accommodation. When we got to the hotel called Raj, it looked pretty decent. Our check-in was smooth though hotel people lacked courteousness and knowledge of the tourism spots that members of the hospitality industry there should know. My client went inside our room first and as soon as I entered, I noticed the disappointment in her face. Our Php 1,500.00 room was so small. It had one bed that is not even double, flushed at the corner with less than 3 square meter space left for us to move around. I am used to checking in at budget hotels and backpackers inn so I didn't fret. However, the comfort room was the clincher. The bowl was yellowish and the tiles were stained. It was not the kind we would be comfortable to sit on. So, my client told her office and informed them that this is not the hotel befitting our celebrity guests who were scheduled to arrive two days after. We fixed our things and decided to check out. From the hallway, we noticed that one of the staff seemed nervous and we could hear shouts. Turned out, the owner was talking to the admin staff of my client. We patiently waited at the sofa to settle obligations and check out properly. After the phone call, he turned his ire on us. For thirty minutes, we were like kids receiving scolding, but we just kept silent and just kept on looking at each other in the eye transmitting mental communication. He said he lost a lot of business because he accommodated our reservations, which I could feel for but still, that didn't warrant that display of anger. He eventually ordered (not suggested) for us to go to his bigger room. After those tongue lashings, we were decided we didn't want to spend the night there. I then stood up, got our bags and hailed a tricycle. My companion was left inside the hotel lobby to settle the payment for one night. She got the worst of his wrath. He spewed out curses and death threats. After getting the official receipt, we immediately left afraid for our lives We got into a tricycle and looked for another place to stay. We were still shaking when we arrived at Tourist Inn, which is actually a good hotel, contrary to what the Raj Hotel owner claimed that they were the only good hotel in Tagum City. We decided not to talk to the police because he said he knows everybody. He might be drinking buddies with the police chief. Instead, we decided to post our predicament on social media. At least, people knew what was happening to us. I called my former office mate from the Office of the Secretary of the Department of Tourism, Nanette Saludo to ask for assistance. A friend from the Tourism Press Corps, Mr Buddy Recio, sent a message to Tourism Director Art Boncato Jr. I was sleepless that night. The worst was running through my head. I messaged my business partner, insurance agent and friends. The following day, I got an early call from Tagum's Tourism Officer, Faith, who arranged for a meeting between us and the City Administrator. 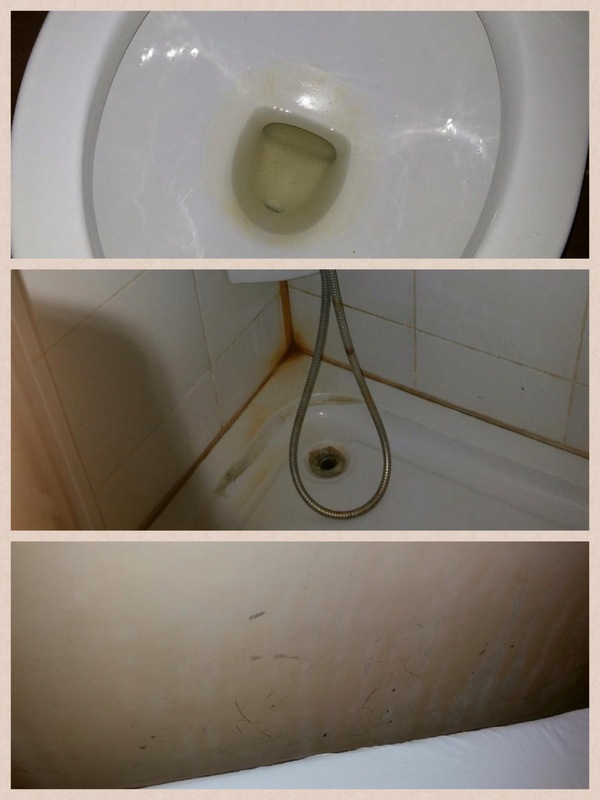 We learned that complaints had been received against that hotel, mostly on cleanliness. He then convinced us to file a report with the police, which we immediately did after. They were apologetic. The police officers from the Women and Children's Desk convinced us that Tagum City is safe. We even got a reminder -- "barking dog seldom bites," a hotline number and security assistance. I got better sleep that night. As of writing, Mr. Big Fat Hotelier is still calling my client's office to ask for reservation fee (which should be cancellation fee). Tagum City is such a beautiful place. Sad that one hotel experience made it one of the scariest place in the world for me.